As the former capital of the Republic of Vietnam (South Vietnam), Ho Chi Minh City, commonly known as Saigon or by the abbreviations HCMC or HCM, is the largest city in Vietnam. Saigon is a dynamic and famous city that seventy percent of those who visit Vietnam also visit Ho Chi Minh City. Also, the city indeed offers travelers a wide variety of tourist attractions and activities. 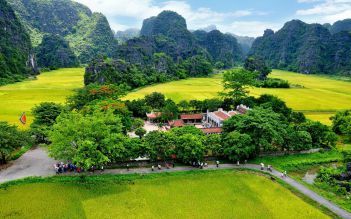 The city has over eight million inhabitants, making it the largest city in the country and the top business hub of Vietnam and the center of much of the nation's activities. The metropolitan area of Ho Chi Minh City is expected to reach 20 million by 2020.